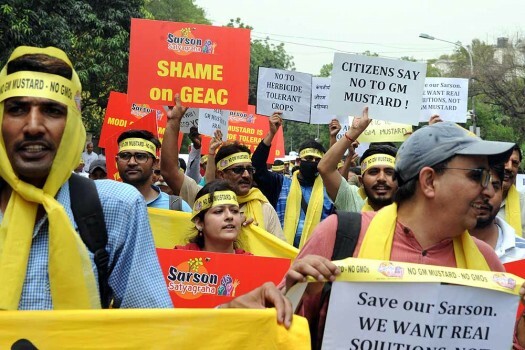 Activists protest march to Ministry of Environment, Forest and Climate Change at Jorbagh against the clearance of GM mustard, in New Delhi. 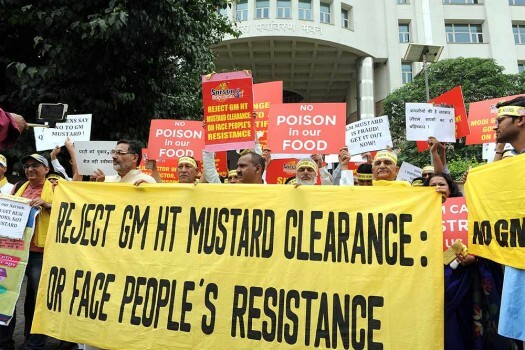 Protest march against the clearance of GM Mustard outside the Ministry of Environment, Forest and Climate Change at Jorbagh, in New Delhi. 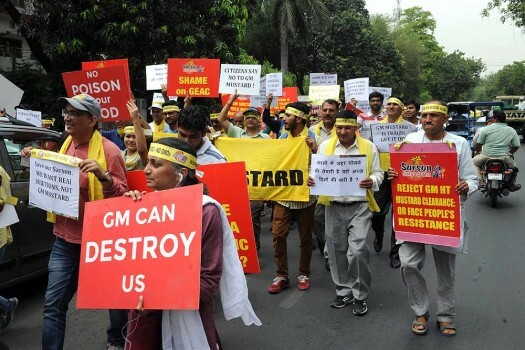 Protest march outside the Ministry of Environment, Forest and Climate Change at Jorbagh against the clearance of GM mustard, in New Delhi. 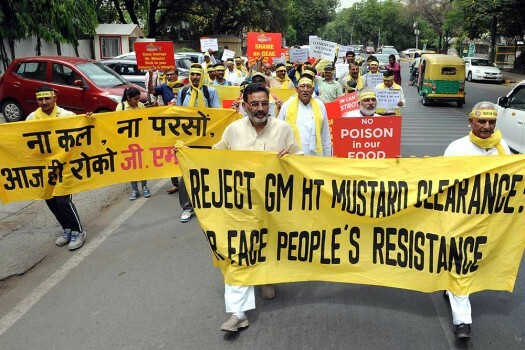 Activists and farmers protest against the clearance of GM mustard outside the Ministry of Environment, Forest and Climate Change at Jorbagh, in New Delhi. 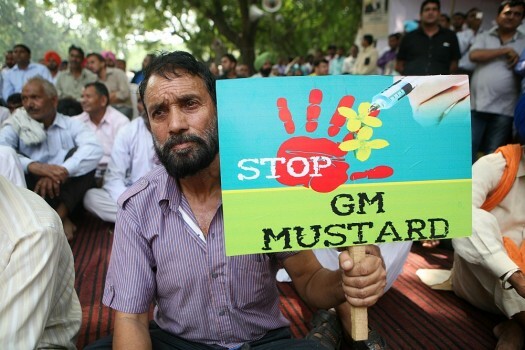 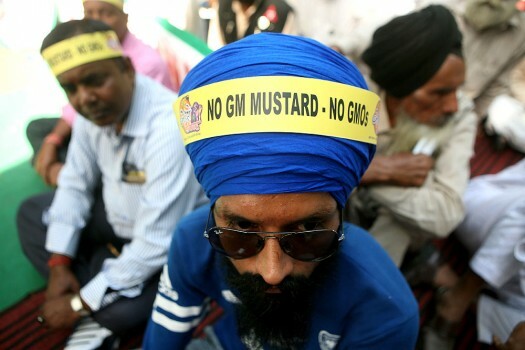 Protest against GM (genetically modified) Mustard, in New Delhi. 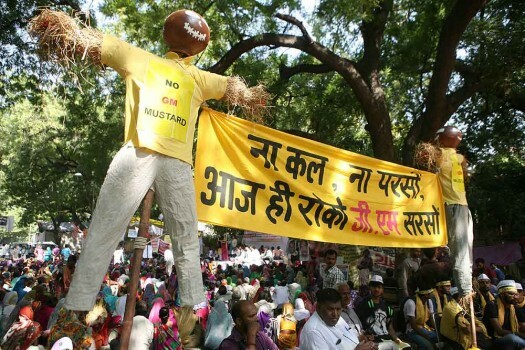 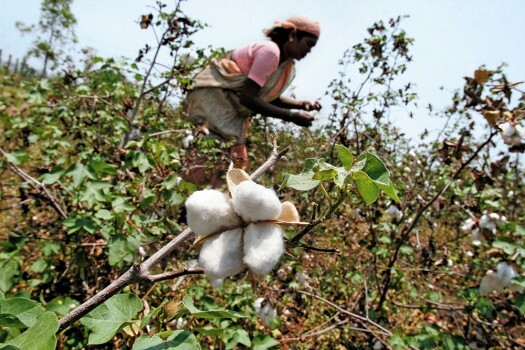 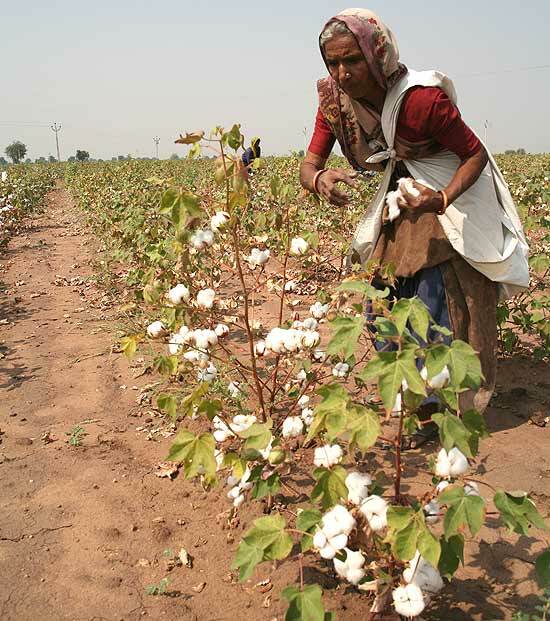 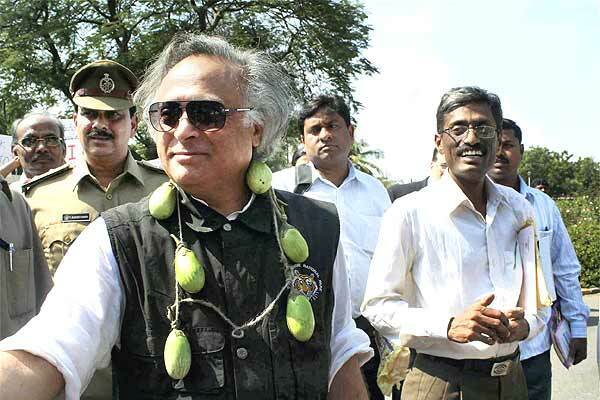 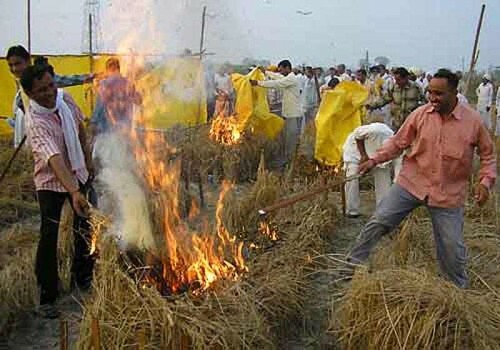 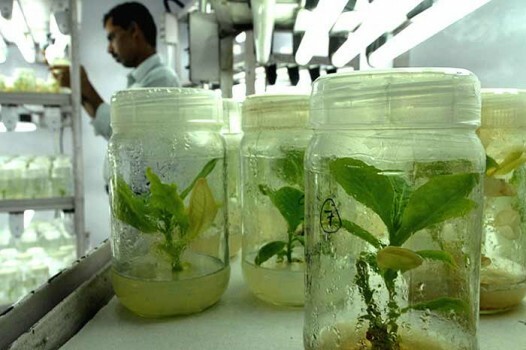 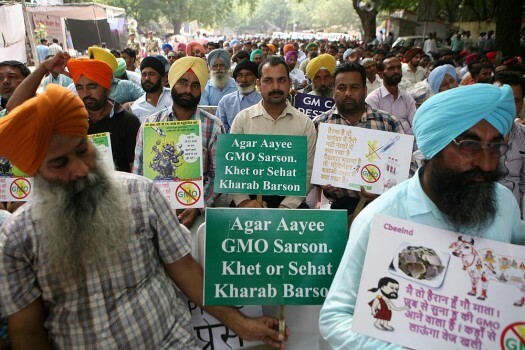 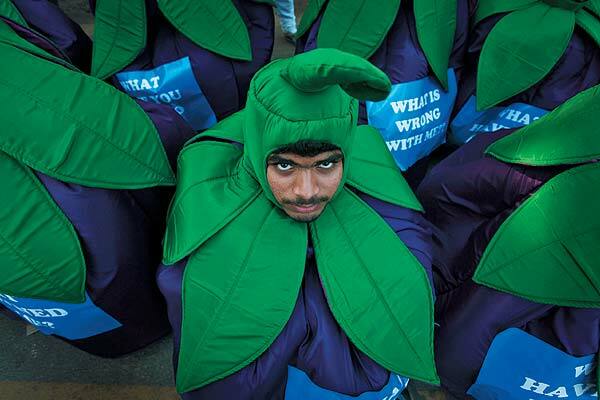 Demonstration against GMO (genetically modified organisms) Crops at New Delhi. 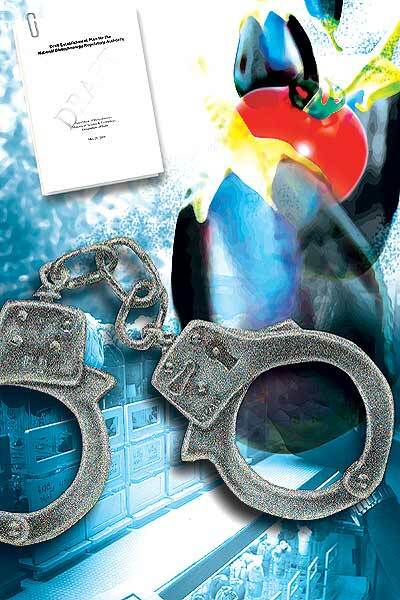 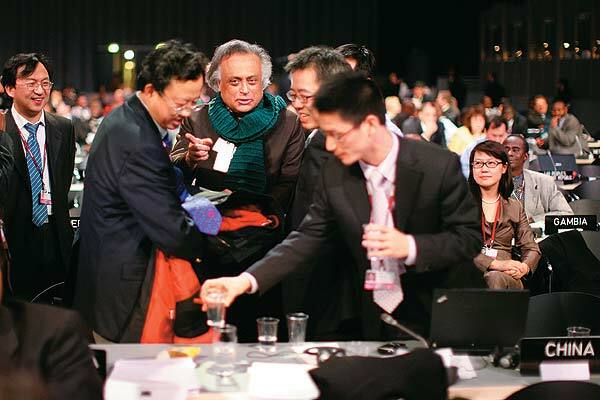 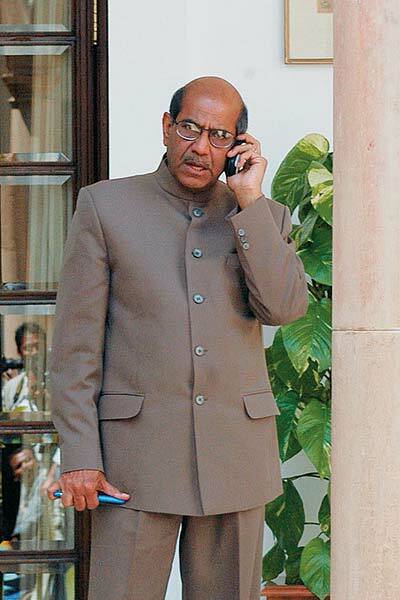 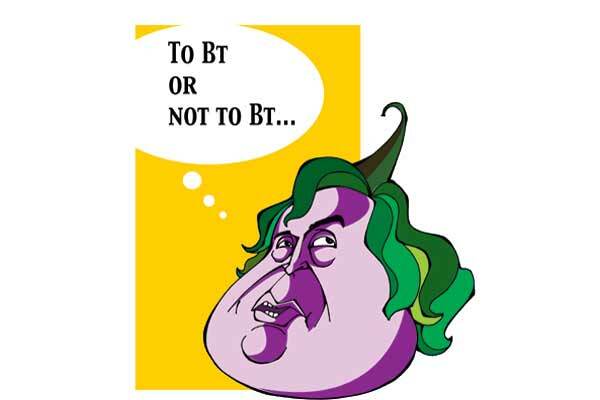 The Bt bug, Which way will baingan go? 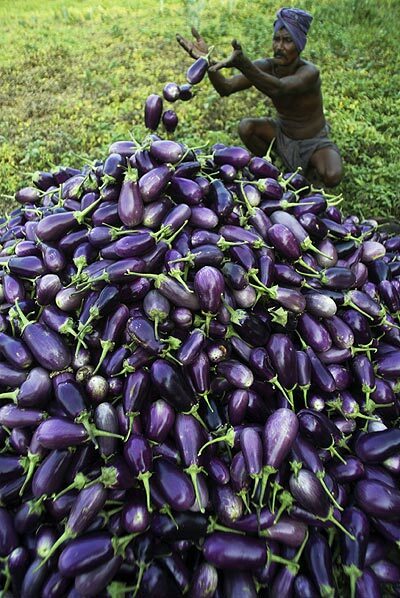 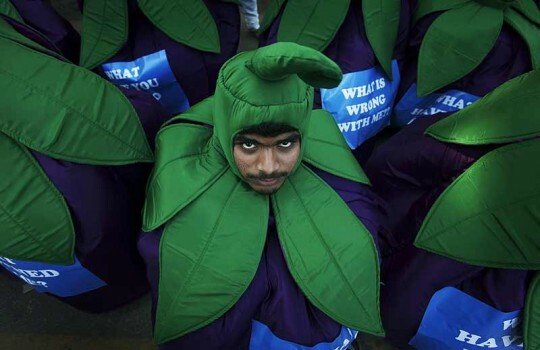 A farmer makes a heap of newly harvested brinjals on the outskirts of Bhubaneswar.